Vancouver Island is one of British Columbia’s premier destinations for outdoor lovers, renowned the world over for its spectacular natural landscapes, encompassing oceanscapes, coastline, rainforest, lakes, rivers and mountains, along with endless opportunities to experience a host of exhilarating active adventures. The island comprises a large sparsely populated landmass located across the Strait of Georgia, just west of Vancouver and the Canadian mainland. Spanning an incredible diversity of ecosystems, it offers the perfect environment for recreational pursuits and close encounters with some of the region’s most iconic wildlife, whether through whale watching, salmon fishing or bear spotting. Much of the island is protected parkland, harbouring old-growth forests and sweeping stretches of unspoilt wilderness offering outstanding opportunities for hiking, biking, fishing and camping excursions. The possibilities for water-based fun are also unparalleled, running the whole gamut from scuba diving, kayaking and surfing, to boating, swimming and fishing. 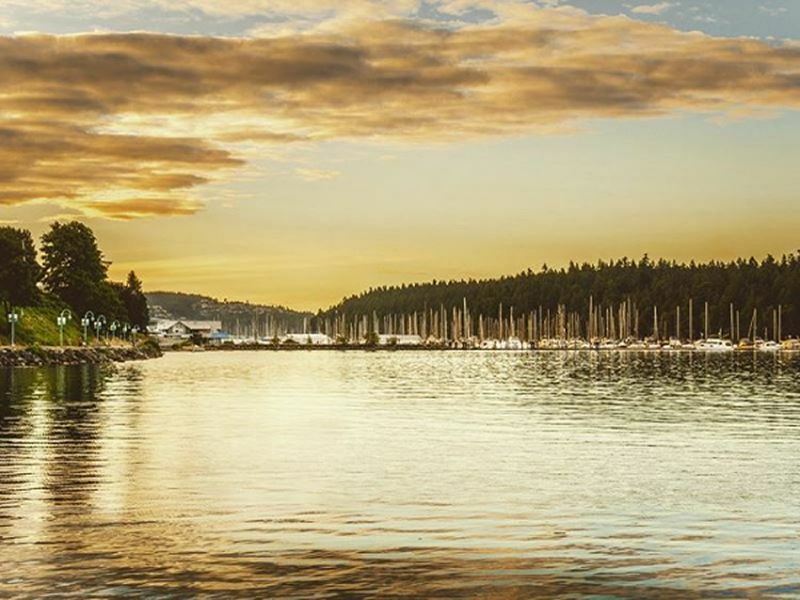 Most visitors start their adventure in the lively metropolitan centres of Victoria or Nanaimo, taking time to relish their many urban pleasures before launching an exploration deeper into the island’s wilderness areas. The East coast’s picturesque coastline, meadows, mountains and wilderness lakes, is ideal for those interested in fishing, swimming, skiing or sampling foodie delights. The remote and relatively undiscovered North island offers a rugged backcountry experience at its very best, with hiking, diving and whale watching being big draws. Last but not least, the West Coast’s Pacific Rim National Park Reserve is a world-class destination for hiking, kayaking, surfing and wildlife spotting all set amid stunning surrounds. Add to this natural bounty a wealth of historical, cultural and culinary attractions, along with a laidback vibe that feels a million miles from the bustle of the mainland, and you have a truly unique and unmissable destination on your hands. British Columbia’s capital is commonly voted one of the most liveable cities in North America, as well as numbering among the continent’s most rewarding urban destinations. It’s long been a stronghold for British traditions, reflected in its tradition of formal afternoon tea, double-decker buses and magnificent flower gardens. In more recent years, Victoria has grown into a lively cosmopolitan centre, attracting a younger demographic and thriving creative community, fuelling the rise of independent shops, hip eateries and lively nightspots. One of the city’s undeniable draws is the sheer diversity of sights and activities on offer. Immerse yourself in the shopping scene, brimming with antiques, Asian imports, craft fairs and farmer’s markets. Explore some of the best museums in Western Canada. Tour the city’s neighbourhoods and admire brightly-painted heritage homes. Enjoy world-class symphonies and theatre or savour the region’s mouth-watering foods and wines in one of the many innovative restaurants. When you’ve had your fill of urban delights, there are numerous outdoor activities that provide fantastic opportunities to relish the city’s stunning natural setting. Hop on a bike (Victoria has more cycle routes than any other Canadian city) or enjoy a round of gold at one of the many scenic courses surrounding the city. Spend an afternoon strolling around the picturesque oceanfront and renowned Butchart gardens, or take to the water for a spot of kayaking or whale watching. Alternatively, venture a little further afield into the surrounding mountains to hike, ski or explore a historic driving route. Known as Harbour City, Nanaimo is Vancouver Island’s second largest urban centre. Straightforward to access from the mainland, either via BC Ferries routes or via plane from Vancouver, Victoria or Seattle, many visitors use the city as a starting point before heading to the West coast or making their way North. 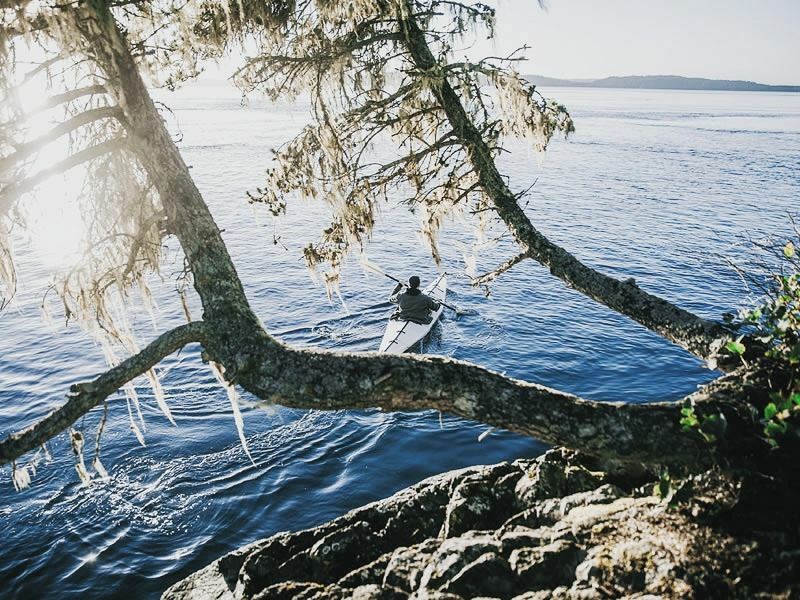 Nanaimo’s extensive shoreline and bustling waterfront make it a hub of activity for recreational activities with countless options for embarking on active adventures further afield, whether it be boating, diving, kayaking, seaplane tours or fishing excursions. Diving, in particular, is a popular activity in the city, with Nanaimo being home to the world’s largest artificial reef. Whilst many are understandably eager to launch into the surrounding wilderness, Nanaimo is a worthy destination in its own right. The revitalised Old City Quarter is home to a wealth of interesting shops, restaurants, art galleries and nightspots, along with impressive heritage buildings and a highly acclaimed museum. The vibrant harbour is always an enjoyable place to spend an afternoon, filled with public plazas and parklands, along with plenty of dining and entertainment options. Surrounded by forests and mountains, Nanaimo offers easy access to the wilderness within just a few minutes’ drive of the city centre. 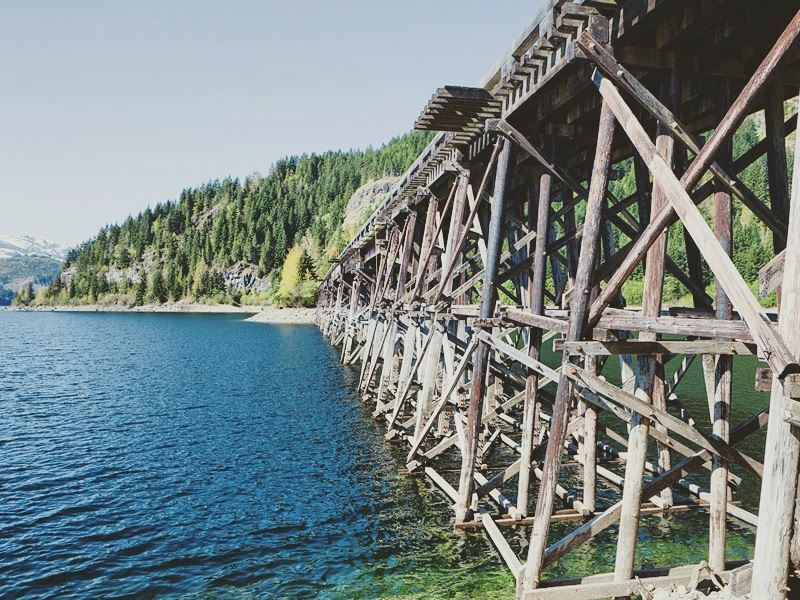 For those eager to explore the town’s surrounds, Westwood Lake and Mount Benson are popular destinations for swimming, hiking and mountain biking. 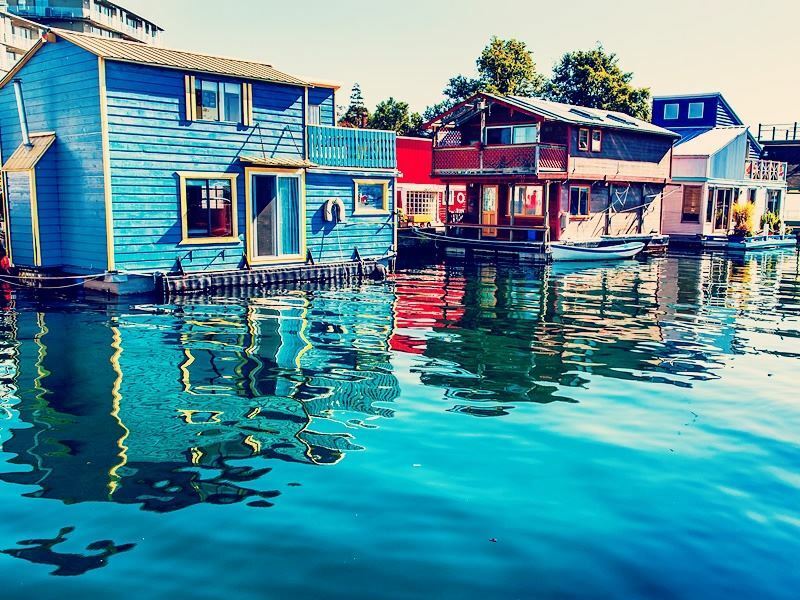 Dubbed the “Salmon Capital of the World”, anglers won’t want to miss spending time in this charming Vancouver Island community. Look forward to reeling in up to five species of Pacific salmon amidst beautiful and peaceful surrounds. Opt to join a deep-sea excursion, head to the region’s wilderness lakes in search of trout, and immerse yourself in the sports fishing culture at places like Painter’s Lodge. There are also opportunities for hiking, canoeing, white-water rafting and scuba diving in the surrounding area. Campbell River makes a great base for launching expeditions into this region’s stunning wilderness. Don’t miss Strathcona Provincial Park, home to Vancouver Island’s highest peak, along with Della Falls, which numbers among the world’s top ten highest waterfalls. Meanwhile, Mount Washington Alpine Resort is a mecca for winter sports enthusiasts, boasting an astonishingly high annual snowfall, unbeatable powder conditions and stunning panoramas. This bucolic valley, encompassing Courtenay, Comox and Cumberland, is another top Vancouver Island destination, particularly popular for its beaches, alpine landscapes and laidback communities filled with character and culture. Nearby Miracle Beach Provincial Park features a fantastic sweep of sandy beach with endless opportunities for swimming, exploring tidal pools, wildlife spotting and hiking trails in the surrounding temperate rainforest. With plenty of facilities, including campsites, a playground and picnic areas, Miracle Beach is especially suited for families looking to spend quality time amid splendid natural surrounds. The valley’s fertile agricultural lands, home to around 500 farms, also gives rise to an abundance of fresh local produce and a thriving foodie scene. Visitors can assemble sumptuous picnics from quality produce at farmer’s markets, sample unique homemade delicacies at artisanal stores and indulge in haute cuisine in one of Comox’s growing number of acclaimed restaurants. The remote, sparsely populated and famously scenic North Island is the perfect gateway for outdoor lovers looking to explore some of BC’s most rugged wilderness. Base yourself in one of the area’s fast-growing centres for eco-tourism, where you’ll find charming accommodations, restaurants and fascinating heritage, along with opportunities for a wealth of active adventures, ranging from hiking, fishing and wildlife spotting, to caving, kayaking and diving. Located on the northern tip of Vancouver Island, the cosy settlement of Port Hardy is evolving into a popular hub for recreational tourism. It’s a big draw for hikers, acting as a convenient base for those tackling multi-day hikes such as the 47km North Coast Trail and numerous trails winding through the spectacular coastal wilderness of Cape Scott Provincial Park. The town is also ideally situated for a wide range of thrilling water-based adventures. The more powerful waters coming from the west coast result in a wilder marine environment, offering plenty of excitement for kayakers, divers and wildlife enthusiasts. In particular, Vancouver Island is celebrated for its fantastic diving. In fact, the cluster of islands making up God’s Pocket Marine Provincial Park is renowned as one of the world’s best cold water dive sites. Here and elsewhere, you’ll find an underwater world filled with soft corals, shipwrecks and countless marine species, as well as incredible visibility. The spectacular coastline and sheltered inlets around Hardy Bay are ideal for sea kayaking, and there are also plenty of opportunities for surfing, swimming and paddling at nearby Storey’s Beach, Raft Cover or San Josef Bay. The wider North Island is also renowned for its caves and unusual limestone formations, boasting over 1,000 caves begging to be explored, notably in Little Hudson Regional Cave Park and around Port Alice. You can also expect plenty of close-up wildlife encounters, whether in and around the ocean or within the area’s lush second-growth forests. Originally established as a one-shack telegraph station, this wild outpost has grown into a hub of activity for outdoor enthusiasts. Its fantastic setting, nestled between ocean and rainforest, provide unparalleled opportunities for wildlife watching and memorable active adventures. The population of this tiny settlement skyrockets during the summer months, with visitors flocking to admire the rustic charms of its brightly coloured preserved buildings or to unwind at the local seafood eatery after an action-packed day in the wilderness. Telegraph cove is perhaps best known for its whale watching. 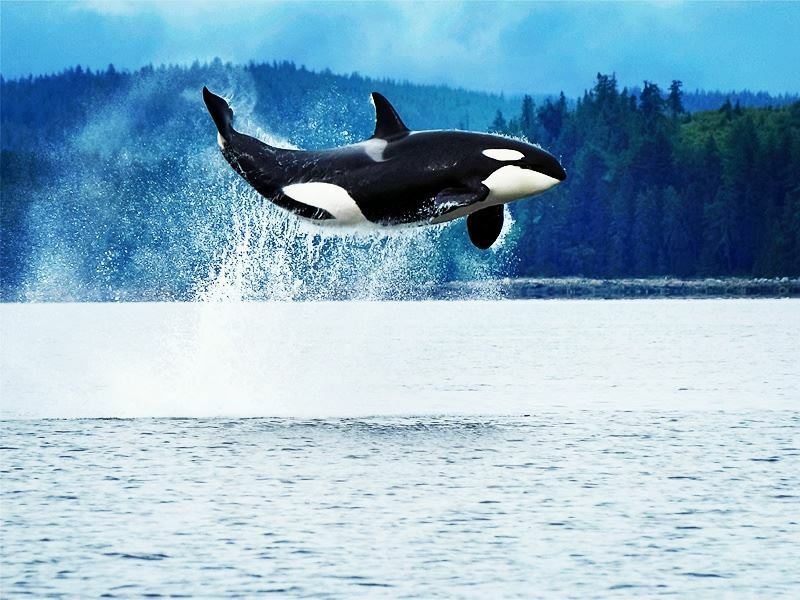 Orcas, minke and humpback whales can be spotted up close in the Johnstone Strait and Broughton Archipelago. Join a quality outfitter, such as Stubbs Island Whale Watching, and you’ll be guaranteed an unforgettable experience. Whilst out at sea, be sure to keep an eye out for dolphins, sea lions, otters, and plenty more species that are drawn to the area’s nutrient rich waters. Telegraph Cove’s Whale Interpretive Centre is also not to be missed for its sweeping overview of these magnificent creatures illustrated with a host of fascinating displays and artefacts. Bear enthusiasts can also organise a trip to view grizzlies and black bears with Telegraph Cove’s Tide Rip Tours. During the May-October season there are regular full-day boat tours to Knight Inlet on the mainland where bears can be spotted feeding along the shore, fishing for salmon in the fall or frolicking with their cubs in the spring. Also easily accessible from Telegraph Cove is Broughton archipelago, BC’s largest marine park. With its sheltered waters, secluded bays, beaches and offshore islands, as well as teeming marine life, it’s the perfect environment for sea kayaking. Whether you’re after an epic multi-day wilderness experience or a more relaxed introduction, there are plenty of first-rate guided kayaking options available. Whilst Vancouver Island is best known for its stunning scenery and exhilarating outdoor adventures, it also happens to be a world-class destination for heritage, arts and culture. In particular, the historical village of Alert Bay on Cormorant Island, home to First Nation peoples still residing on territorial land, offers plenty of chance to learn more about the fascinating pioneer culture. 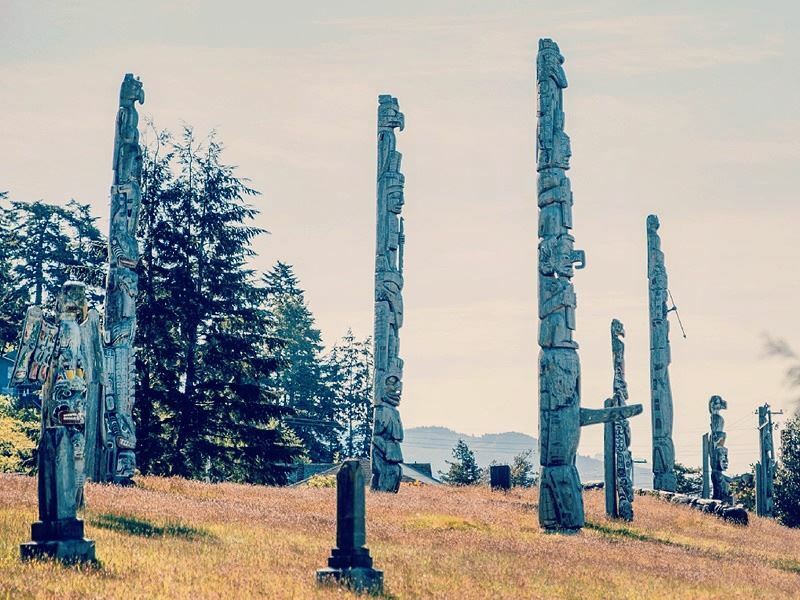 A visit here should include touring the highly acclaimed U’mista Cultural Centre and the Alert Bay museum, as well as checking out the aboriginal art galleries, witnessing a drumming ceremony and admiring the world’s largest totem pole. Of course, this is still BC, so opportunities abound for relishing the incredible natural setting. The area surrounding the town is particularly well-suited for hiking, biking, fishing, as well as bird watching in the Alert Bay Ecological Park. 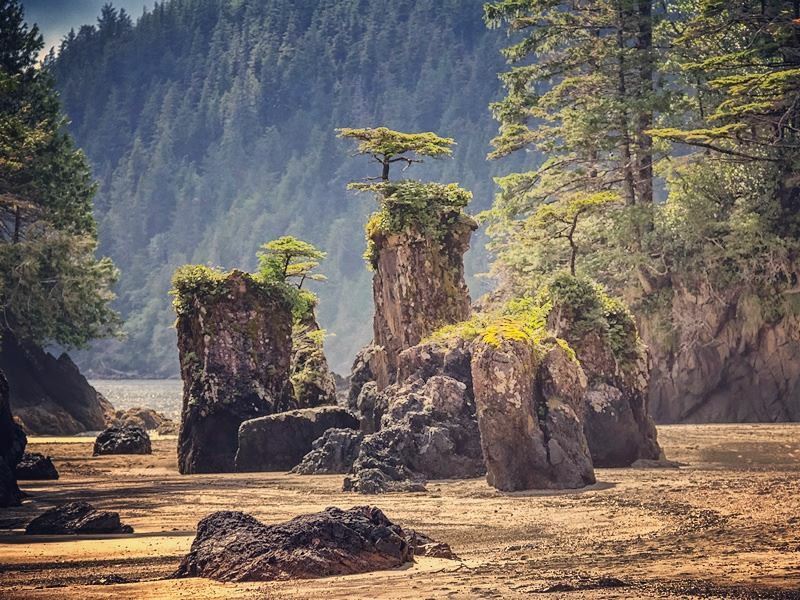 The Pacific Rim National Park Reserve is undoubtedly one of Vancouver Island’s biggest draws, attracting over a million visitors every year eager to experience the West coast wilderness at its very best. Renowned for its wild Pacific coastline and soft sand beaches backed by lush temperate rainforests, the reserve is a true natural paradise offering unmatched opportunities for a whole host of outdoor pursuits. Hikers will be spoilt for choice as the Pacific Rim offers miles of well-maintained trails that wind through dramatic coastal scenery and spectacular old-growth forests. Highlights include the Schooner Cover Trail and South Beach Trail for a mix of rugged cliffs, sweeping stretches of beach and lush forests. There are also many popular longer hikes, including the epic West Coast Trail, an immersive multi-day experience that takes you right into the heart of some of BC’s most spectacular and diverse landscapes. If you’re heading to the Pacific Rim, you won’t want to miss Long Beach, a beautiful 10-mile expanse of unspoilt beach backed by pristine coastal forest. Visitors flock year-round to marvel at the spectacular surrounds and dive into countless outdoor adventures. Long Beach boasts some of Canada’s best and wildest surf, attracting enthusiasts from all over the world. Other popular pursuits include exploring the area’s old-growth rainforest, stand-up paddle boarding, storm-watching in winter or simply admiring the endless ocean vistas on a stroll along the beach. The laidback town of Tofino is the area’s main hub of activity and launch point for exploring the Pacific Rim wilderness. 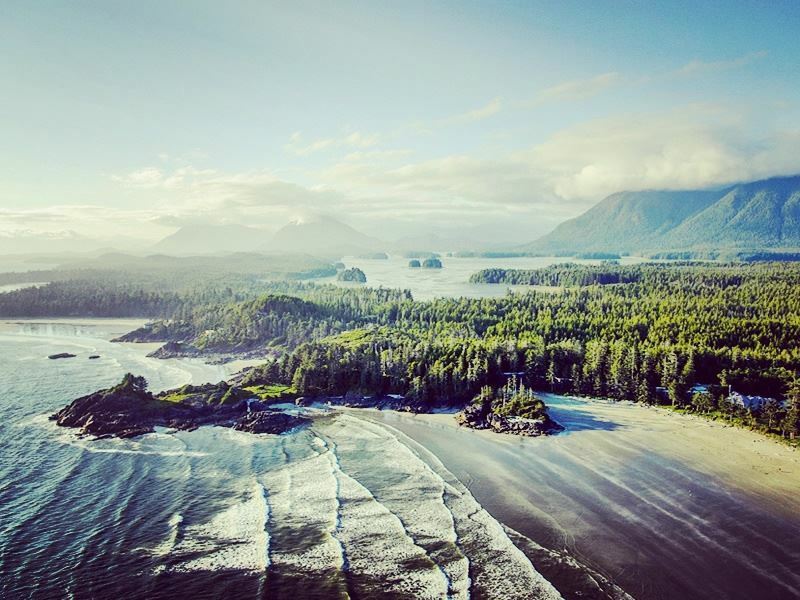 Tofino offers plenty of accommodation, dining and entertainment options, as well as a popular botanical garden, nearby hot springs and thriving creative community. 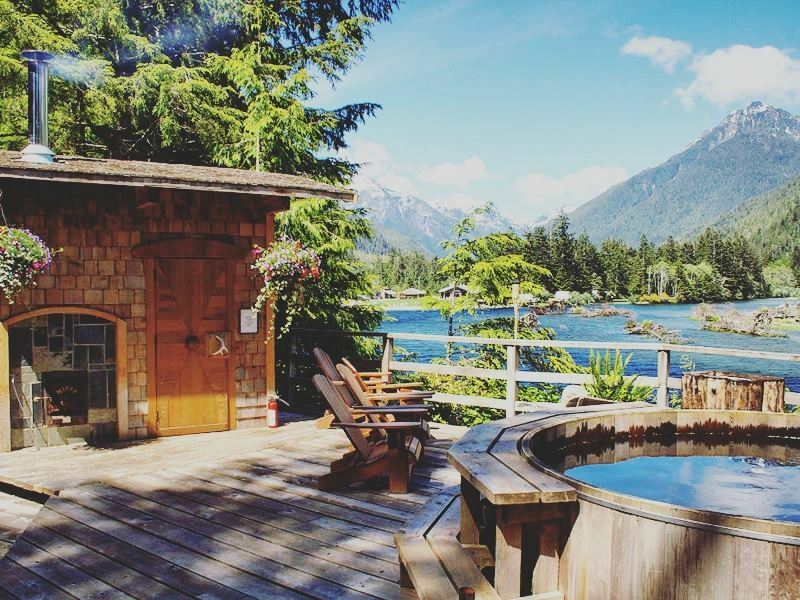 For those in search of something extra special within easy reach of Tofino, the Clayoquot Wilderness Retreat offers an immersive “glamping” experience right in the midst of some of BC’s most stunning natural scenery. Good transportation links with the mainland make it straightforward to combine Vancouver Island with a wider exploration of British Columbia’s countless attractions. If you’re eager to discover more of BC’s natural beauty and explore further opportunities for outdoor adventure, the Self-Drive Totem Peaks tour will take you on a whirlwind tour of Western Canada, covering Vancouver and the Inside passage, along with Jasper and Banff, before finishing with a flourish on Vancouver Island.